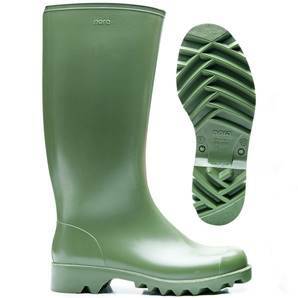 The Dolomite Nora is a well-established boot designed for agriculture and leisure with an anatomically designed footbed. Tractor tread sole for extra grip. Resistant to acids, manure, fertilisers, sprays, animal fats, grease, oils and benzine. Suitable for professional agriculture including dairy.